LAURELS, S.C. – Rev. William “Bill” Joseph Vines, age 84, of 105 Lakeview Dr. passed away Monday, October 12, 2015, at his home. He was born in Asheville, N.C. and was a son of the late Carl Allen and Minnie Bailey Vines. Rev. 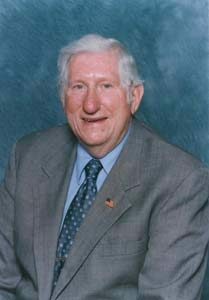 Vines was a retired United Methodist Minister of the S.C. Conference of the United Methodist Church, he was a graduate of Wofford College, and earned his Master of Divinity from the Candler School of Theology, Emory University. Rev. Vines served many churches in South Carolina. He is survived by his wife, Caroline McNinch Vines; one son, J. Byron (Laura) Vines of Advance, N.C.; three daughters, Beverly V. (Harvey) Anderson of Irmo, Belinda V. Spearman of Taylors, and Cheryl V. Palmer of Taylors; two step-daughters, Phyllis D. (Larry) Crider of Mooresboro, N.C., and Dorothy D. (Lemar) Sloan of Waterloo; one brother, Lawrence E. (Dollie) Vines, Sr. of North Augusta; ten grandchildren and five step-grandchildren; eight great-grandchildren and four step-great-grandchildren; and two special nieces, Darlene (Robert) Amick and Frances (Harry) Patterson. In addition to his parents he is predeceased by three brothers, Carl A. Vines, Jr., James L. Vines, and Marshall B. Vines. Funeral services will be held Thursday, October, 15, at the First Methodist Church of Laurens at 11:00 A.M. The family will receive friends at the Gray Funeral Home of Laurens Wednesday, October 14, from 7:00 P.M. to 8:30 P.M. The family requests that memorials be made to the First United Methodist Church of Laurens, PO Box 203, Laurens, SC 29360, Admedisys Hospice, 250 Commonwealth Dr. Suite 105, Greenville, SC 29615, Epworth Children’s Home, PO Box 50466, Columbia, SC 29250.